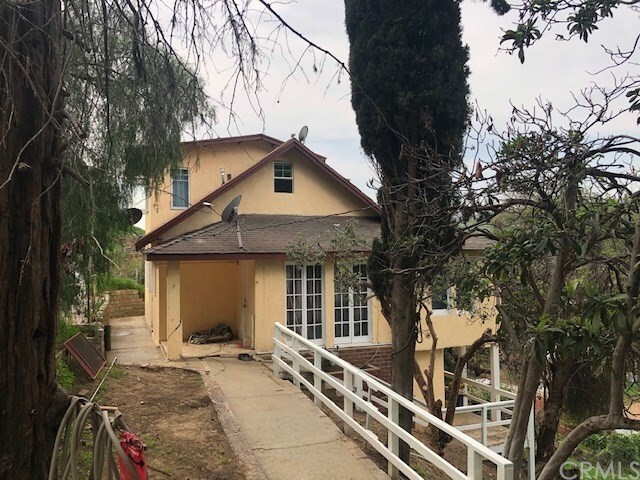 All El Sereno Car homes currently listed for sale in El Sereno Car as of 04/21/2019 are shown below. You can change the search criteria at any time by pressing the 'Change Search' button below. 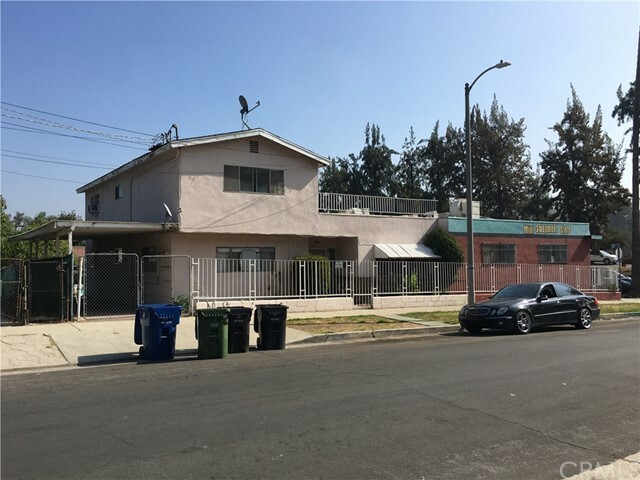 If you have any questions or you would like more information about any El Sereno Car homes for sale or other El Sereno Car real estate, please contact us and one of our knowledgeable El Sereno Car REALTORS® would be pleased to assist you. "Price reduced. Investment Property & Vacant Land for sale, 6 miles to Los Angeles City Hall. The location is only 6 miles to Los Angeles City Hall, 2.4 miles from Cal State LA, 4.6 miles from East LA College. There is an existing house with 5-Bedroom, 2-Bath house on R-3 zoning, good for building 7 Condos/Apartments; plus 7 subdivided Single-Residence adjacent vacant lots in the back with scenic up-sloping lot and gorgeous hillside views. Potential growth on your investment and rare profit retur"
"HUGE PRICE REDUCTION, HURRY WILL NOT LAST! 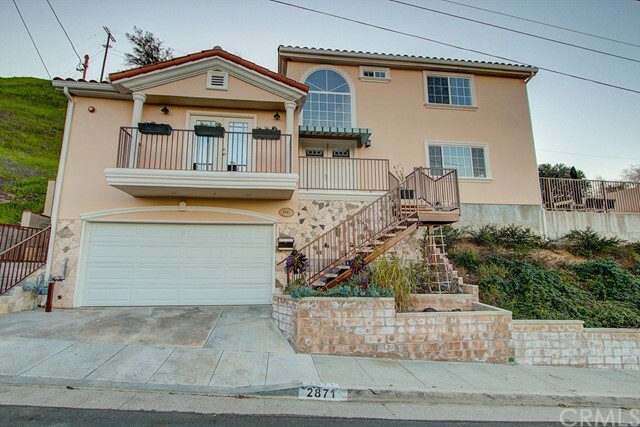 This newly constructed home is located in the highly sought-after suburb of Los Angeles. This home has a lovely view of the city, and has stunning mountain views. This private home has an open concept living area that features a spacious living room, brand new kitchen, and dining area with french doors opening to the balcony with all the stunning views. The master bedroom is on the main floor and comes with it's own bathroom and walk-in closet. The laun"
"This is a mix use structure that consist of a residential dwelling that is about 2,800 square feet of living space that offers 4 bedrooms and 2 baths. This property is also attached to a commercial space that is about 1,000 sq. ft that can be used as a store front or rented out for extra income. 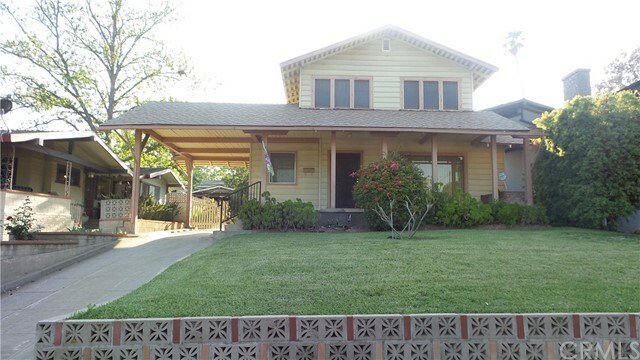 Located blocks from Alhambra and near to South Pasadena. Close to parks, Shopping centers and minutes from freeway access. This lot is zones LARD 1.5 so if you are looking for a development project this "
"BRAND NEW GREEN BACKYARD!!! DESIGNER REMODEL HOME!!! 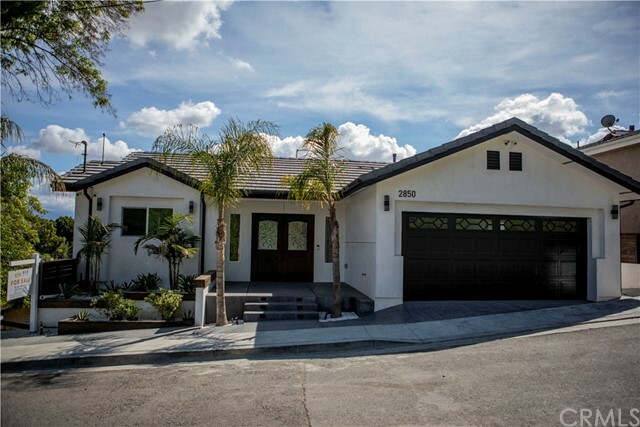 This 4 bedroom 3 bath El Sereno Home has been completely remodeled and is ready for it's new owners! It has soo much space! The home has it all! Great space for entertaining, a yard with a new sprinkler system, new A/C and Heating, new kitchen, new appliances, new bathrooms, new flooring, led recessed lighting, a bar, and much more!. The home has so much space that it can fit 2 families! Or maybe be a rental with a private entrance (AirBnB?) 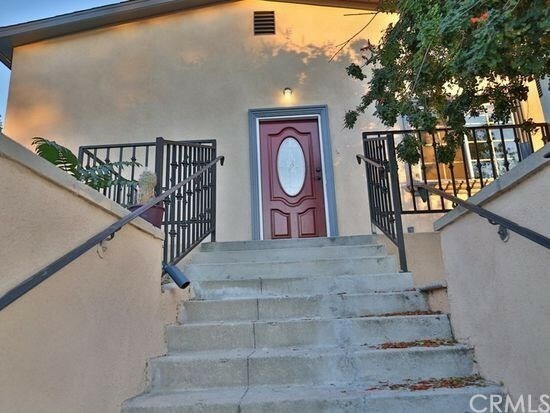 a"
"Charming view home in El Sereno's nestled in the Monterey Hills of El Sereno. Over on the sunset-facing deck, the treetop vistas stretch to the horizon. This three-bedroom, two-bath home is over 1753 q ft, has new interior/exterior paint, new laminate and new carpet throughout. Kitchen was just remodeled w/ new cabinets, new quartz counters & designer back splash, new tiled floors and new stainless steel appliances. 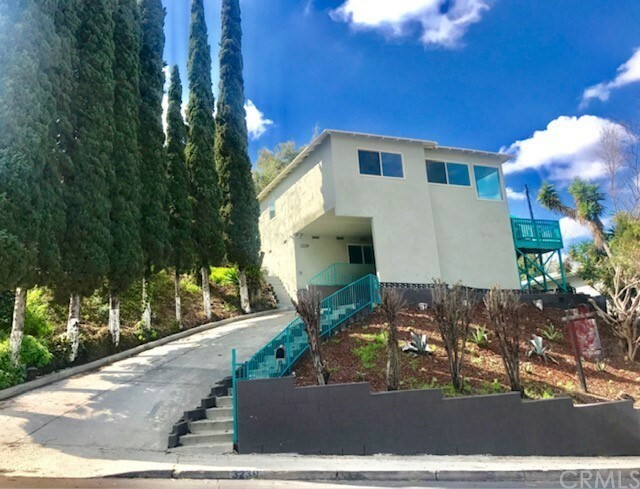 Both bathrooms were remodeled w/ new quartz counter tops, new tiled showers, new"
"Built in 2007 is this lovely and modern El Sereno home with stunning city and mountains views from one side and privacy on the other. As you enter through the double door entry you are taken aback by the spacious and light-filled open concept living/dining room which is adjacent to the kitchen with breakfast bar, granite counters, stainless steel appliance and laundry closet with storage. Access to the amazing flat and spacious concrete side yard which is perfect for entertaining and enjoying th"
"Ooh...so many reasons to love this home. What if you could take streets to DTLA, Pasadena, USC and other local hot spots? Or, what if you could walk to Ascot Hills Park, a hidden treasure where peace and calm pervades as you stroll through its hiking trails, while unknowingly, racking up your Fitbit? What if, after a long days work, you could retreat to the backyard and cozy up around the outdoor fireplace with your favorite cocktail in hand? Aww...the comforts of home. Even better, what if you "
">> BACK ON THE MARKET << Current buyers did NOT perform!! 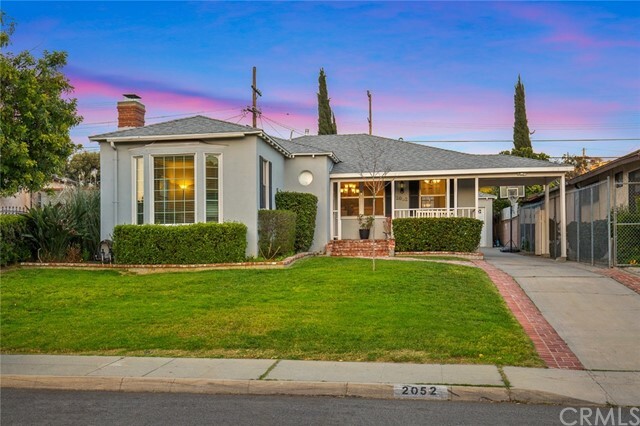 Take a look at this immaculate, impressive Mid Century Modern Hillside Home nestled in the hills of El Sereno that has been professionally remodeled. This Beautiful home invites comfort and exudes elegance - With 3 bedrooms, 2 baths, offers generous living space and stylish finishes. Enjoy gatherings and entertainment in the spacious backyard, deck that offer expansive views. 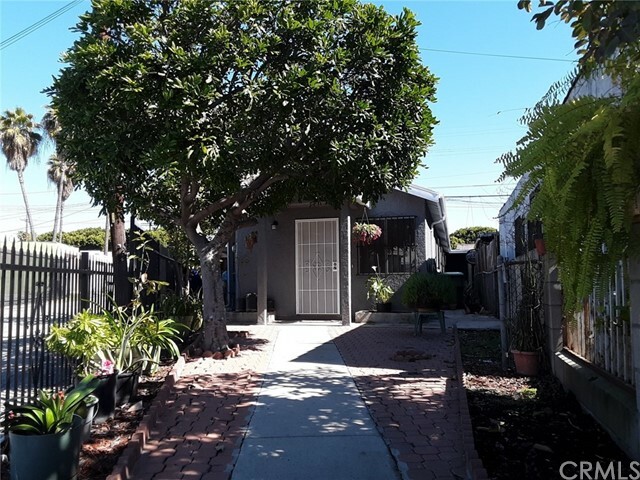 This home also offers a spacious 1-bedroom, 1-bath tastefully r"
"Gorgeous 4 bedroom, 2 bathroom, 2-story El Sereno home with updates throughout living space and outdoor property. This beautiful, multi-level has climbing jasmine and morning glory vines and amazing views, terrific for entertaining friends or scenic romantic evenings.The upstairs/downstairs have separate entrances, kitchens, and bathrooms making it ideal for an extended family member, a renter, an office or music/editing studio. 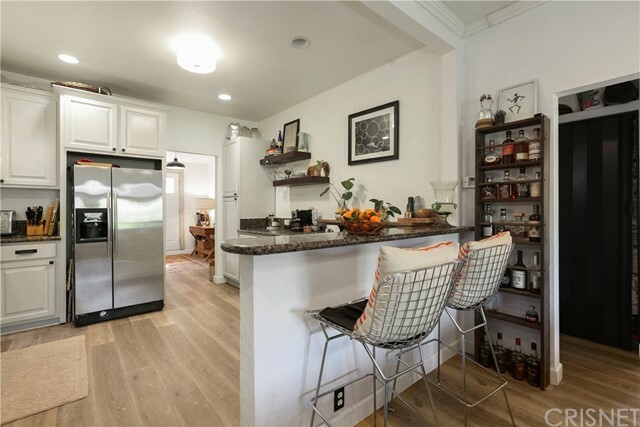 Upstairs, the previously walled off kitchen has been opened to the "
"Newly Remodeled charming 2 story single family house with walking distance to the campus of Cal State L. A. 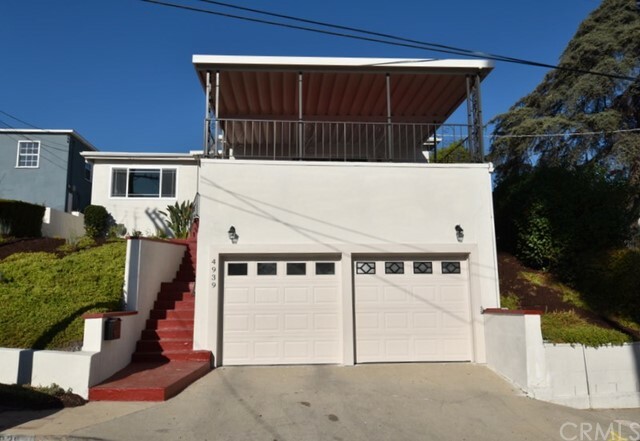 Built in 1960, this hillside property has nice city views, 4 Bedroom, 3 bathrooms with 2 entrances, 2 separate kitchens, two set of laundry hook-ups, very flexible floor plan which can be used as 2 units. Enclosed patio can be used as extra living room for the back unit. So the actual living space appears to be larger than what is on the county record. Most of the back yard is paved with r"
"This beautiful home is close Cal State L.A. University, freeways 10 & 710 a few minutes east from downtown Los Angeles. 4 Bedrooms 2 1/2 Bathrooms with the new addition in the front, new roof, new stucco, new plumbing, new windows, new kitchen and dining room. living room granite counter tops, marmol floor, hardwood bamboo floors in the bedrooms, central A/C & H/, high efficiency, solar system (paid off) and is included with the home. Home has a bonus of 2 bedrooms 2 bathrooms in the basement, i"
"This is your opportunity to buy a charming home with a hillside view in University Hills. 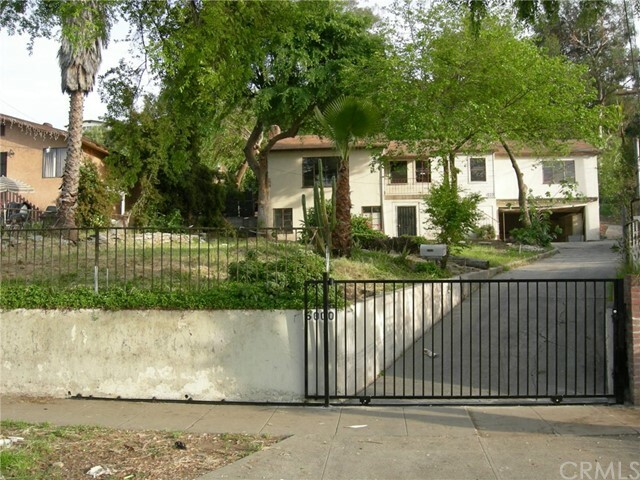 This property is located within walking distance to Cal State LA with easy access to the major freeways of LA. This two-story home offers plenty of bedrooms with plenty of parking. It's one of the few homes on the block of Seldner Ave with a fenced off driveway and attached two car garage. You'll never have to worry about finding parking. 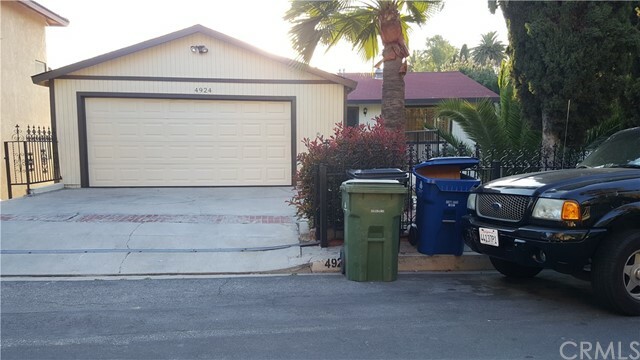 This house offers plenty of privacy, as the bedrooms are located away"
"Polished family home in emerging El Sereno. Set a short drive from Downtown LA in one of the Eastside's hottest neighborhoods, this welcoming two-story home has been upgraded top to bottom. Enhancements include an updated kitchen with quartz counters; updated baths; and new flooring, baseboards and moldings. More improvements include new interior and exterior paint, original copper plumbing and double-paned windows throughout. There are three bedrooms, one on the first floor and two on the secon"
"Beautifully updated home features 3 bedrooms, 2 full bathroom, 1542 sqft. 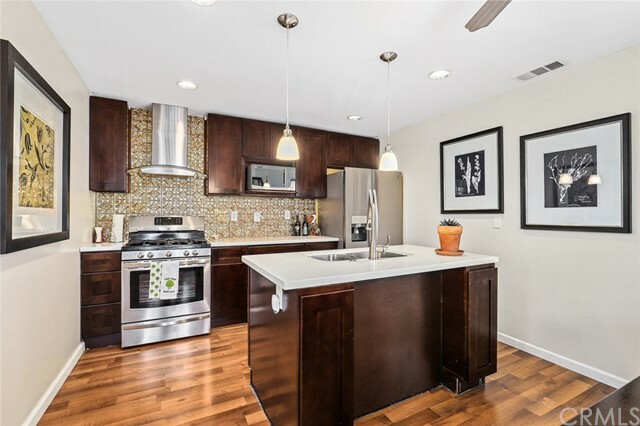 Fresh interior and exterior paint, with new quartz counter top and back splash, new laminate floors in all bedrooms, Remodel Showers,new vanities, counter tops, faucets, toilets & new AC and Heating and recessed lighting throughout the living room and kitchen, outside laundry hookups. This house is located nearby Calif State University(CalState),10 & 710 Fwy. Just a few minutes away from Down Town LA, S. Pasadena and Alham"
"This charming single family home in Hillside Village, El Sereno sits on a corner lot and conveniently located close to freeways, schools, public transportation, CAL State LA, USC Medical , Lincoln Heights, Chinatown and 10 minutes drive from Downtown LA, Alhambra, Monterey Park & Pasadena. It is close to Lincoln Park Lake & Ascott Hills Park. 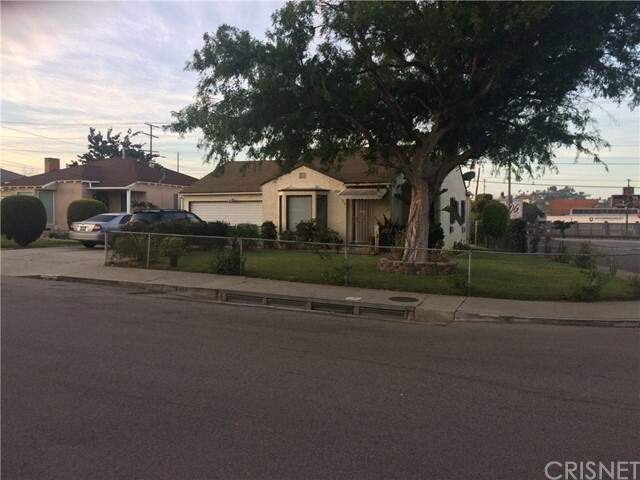 It features two good sized bedrooms, a den that can be converted to a third room, a fireplace in the living room, a two car attached garage that has ample "
"Just across the block from both Farmdale Elementary and El Sereno Middle School, this charming home is recently remodeled and ready for you to move-in. The two-bedroom, one-bathroom house also features a kitchen, living room and laundry room as well as a two-tier front yard garden. Recent improvements to the building include newly installed rain gutters, ceiling fans, central air conditioning and heating system, copper plumbing, and kitchen appliances. Both interior and exterior have been freshl"
"GREAT OPPORTUNITY!!! DIAMOND IN THE ROUGH!!! TERRIFIC OPPORTUNITY!!! 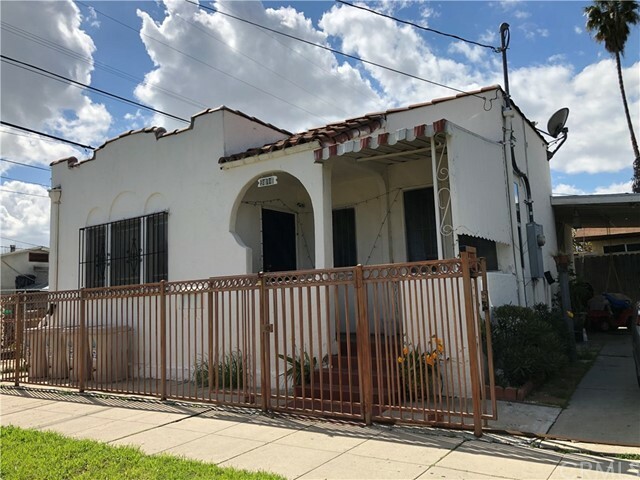 TO OWN A SPACIOUS HOME IN RAPIDLY APPRECIATING AND HIGHLY DESIRABLE, EL SERENO -- JUST A FEW MILES AWAY FROM USC MEDICAL CENTER, CITY TERRACE, ALHAMBRA, AND A COUPLE OF MILES FROM DOWNTOWN LOS ANGELES. CONVENIENTLY LOCATED TO CA-10, 60, 5, AND 710 FREEWAYS. 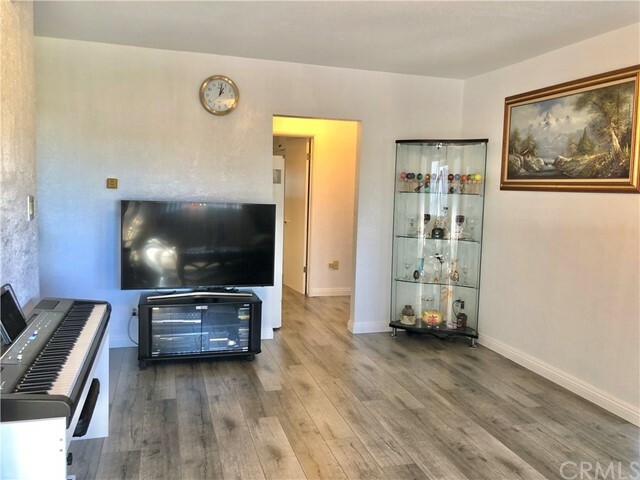 OWNED BY THE SAME OWNER FOR NEARLY 20 YEARS, THE PROPERTY WAS REMODELED JUST A FEW YEARS AGO, AND THIS HOME HAS IT ALL: 2 BEDS, 1 BATH, SPACIOUS LIVING ROOM, BEAUTIFUL GOURM"